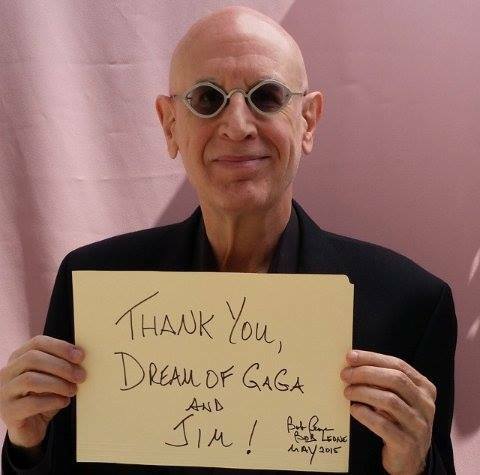 Bob Leone: Lady Gaga’s first manager, discusses with ‘Dream Of Gaga’! – Dream Of Gaga | Your #1 Lady Gaga Fansite For Your Daily Gaga Fix By Jim Varounis. Let's take a step back in time to focus on the role played in the creation of Lady Gaga by her first manager, Bob Leone. Bob Leone was born and raised in Brooklyn, New York, where he currently lives. In the late '70s & early '80s, he played in the rock band Flame. Flame was formed by the legendary Jimmy Iovine, a childhood friend of Bob's. In 1990, Iovine formed Interscope Records. He signed Lady Gaga to his label in 2007 and Lana Dey Rey in 2011, both of whom were closely connected to Bob during the early stages of their careers. Between 1981 and 1988, Bob was the National Projects Director for Songwriters Guild of America (SGA). In 1988, he became the National Projects Director for the prestigious Songwriters Hall of Fame (SHOF) and its parent organization, the National Academy of Popular Music (NAPM), in which position he remained until 2006. During his 18-year tenure at SHOF, Bob worked with literally thousands of artists. It was at one of these open mics in 2001 that Bob discovered 14-year-old Lady GaGa, who was then performing as Stefani Germanotta. Stefani also took a SHOF songwriting workshop at that time. Bob immediately recognized her great talent and knew that she would become an international superstar. 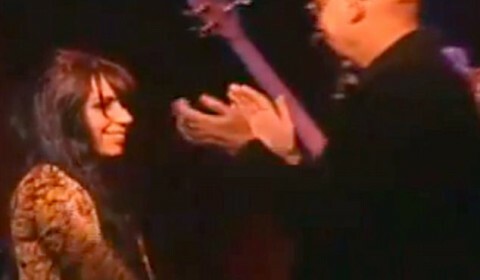 On March 9th, 2006, following one of her solo performances at The Bitter End in Manhattan's Greenwich Village, Stefani asked Bob to be her first personal manager. One of the first actions Bob took on GaGa's behalf was to feature her in a SHOF showcase that same month. That showcase led directly to her meeting Rob Fusari, who became her first producer. Their work together resulted in GaGa being signed to her first major label deal by L.A. Reid, then head of Island Records. After GaGa was inexplcably dropped by the label, she was signed by Interscope Records, for which she still records today. 1. Two years ago, the website Daily Mail, had revealed that your relationships with Lady Gaga, was not the best. Would you like to oppose to that, or to confirm it? I was quoted out of context and I was also misquoted. Just before this article was published in the Daily Mail, the man who interviewed me for it, Chris White, called to apologize. He was so unhappy with how my words were twisted that he removed his name as the author of the article. The person listed as the writer — Simon Boyle — never interviewed me and never contacted me to verify any of the information. The only concern of the Daily Mail, as with many such newspapers, was to sell as many copies of their publication as possible. And the best way to do that is by creating sensational headlines that have very little in common with the truth.My relationship with GaGa was always a very good one. She respected me and admired me, just as I respected and admired her. If she didn't feel that way about me, she would never have asked me to be her manager. And there's something not too many people are aware of and that is that while I was GaGa's manager in 2006, she signed her first major production deal (with Rob Fusari) and her first major label deal (with L.A. Reid, who was then the head of Island Records). GaGa and her entire family expressed gratitude to me for my role in transforming Stefani Germanotta, who was performing without pay at local clubs, into Lady GaGa, a major label superstar. 2. How did you discover Lady Gaga & Lana Del Rey? I first saw Lady GaGa perform when she was only 14 years old. Stefani Germanotta came to one of the hundreds of Open Mics that I produced and hosted for the Songwriters Hall of Fame. She came up one night with her loving mom, Cynthia. She only watched other artists perform that first time. The second time she came, again with her mom, she also just sat and watched. I went over to her at the end of that night and told her that I understood how intimidating it must be to see other artists, much older and more experienced than her, perform. I also told her that I was very interested in hearing her sing one of her songs and I asked her to please perform at the next Open Mic. And, fortunately, that's exactly what she did. About an hour after the event began, Stefani quietly walked up to the stage, sat at the piano, began playing and then she sang. I was immediately impressed by this young girl. Very impressed. I couldn't believe that a 14-year-old could play piano, sing and write songs as phenomenally as she did. When she finished her song, the room was completely silent. Then everyone began clapping loudly and standing up. I knew within moments after she began singing that she was immensely talented. But after I saw how much everyone was affected by her, I knew she would be a star. We stayed in touch after that for many years. And in 2006, she asked me to be her first manager, a role that I accepted. Lana Del Rey approached me at the legendary music club, The Bitter End, while I was there watching a show with a friend. At the end of the performance, many people came over to speak with me. This happened all the time because my artist showcases were considered the best in the country and every artist wanted to know how they could be chosen to be in one of them. Lana walked over from across the room and stood next to me. She waited very patiently while I was speaking to another artist. When that conversation ended, I turned to her. She introduced herself as Lizzy Grant. She had no idea who I was at the time. She told me later that she was compelled to have a conversation with me and that's why she came over. We had a very strong connection from the very beginning. A few days later, I invited her to come to a show with me. Afterwards, she asked if I would listen to her sing some of her songs. She was extremely nervous. As every performer knows, it's harder to sing for one person than it is to sing for thousands, especially if you believe the person you're singing to has the power to change your life. After I helped her to calm down, she began to sing. To me, it was like listening to an Angel. Her sweet voice, her beautiful face, her vulnerability, her lyrics — these things were simply amazing to me. I had worked with thousands of artists, but I had never seen or heard anyone like her. I knew that, even though she was a raw talent, not as developed as Stefani, she had the potential to be a superstar. Lizzy and I spent a lot of time together after that night. I was the first person to hear "Yayo," which is still one of my favorite songs. Some of my happiest memories are of those times. Lizzy is one of the most intelligent, most perceptive, most interesting and kindest people I have ever met. 3. Did you expect them to be global phenomenon? The way I'd say it is that I knew they could be superstars if they had the right support teams and the perseverance, work ethic and determination required to get there. They obviously did and that's why they are the two of the most successful artists in the history of pop music. For those reasons, but mostly, of course, because they are extremely gifted. I loved being right about their success. They both deserve all of the respect, admiration and critical acclaim they have received and will continue to receive. 4. According to you, which one is the biggest asset of Lady Gaga and Lana Del Rey? There are many assets, of course, including the three things I mentioned in a previous answer. Lana and GaGa are extraordinarily gifted artists and they work very, very hard. They have dealt with all of the negative criticisms that all artists experience and they have done this with grace, courage and inner strength. It might seem obvious to say this, but it was essential that GaGa and Lana simply refused to give up their dreams. I have seen many great artists, who could have been stars, give up on themselves too soon. The music business can be brutal. Two other things that have made them superstars are their uniqueness — there is no one like GaGa or like Lana — and their amazing ability to make their fans believe they are singing directly to them and about them. This is why Lana's and GaGa's fans are so passionate about them and so loyal to them. 5. Describe an unknown incident that you recall from Stefani’s early years before she became Lady Gaga. I wish everyone could see Stefani's early performances, especially those at the legendary venue, The Bitter End. What I loved most about those shows was that no matter how many people were in the audience, and sometimes there were only a few, Stefani always gave 100%. She always performed with all of her heart and soul, just as she does now. That to me is the mark of any authentic artist. That their love of what they do and their passion for it shines through like a blazing sun. 6. If you were still up to today Gaga’s manager, what different or what else would you suggest she do, which she hasn’t done so far. There's very little GaGa has done that I would not have encouraged her to do, especially singing jazz standards and acting. But there is one thing I would love to see her do that she hasn't done yet and that is to write a musical and star in it. When she was in school, she performed in many musicals and always got the best roles. 7. How do you feel that Lady Gaga, will participate and hold a main role in the fifth season American Horror Story? I think who ever had this idea was brilliant. It may even have been GaGa, but I don't know. The vibe of the show, its atmospheric qualities, its bizarre aspects — I believe this will work very will for GaGa and for AHS as well. I know GaGa is a great actress. 8. Lady Gaga has proven the she wants and she can experiment on many genres of music and not to remain on just one. From ‘The Fame’ era, up to today’s ‘Cheek To Cheek’ era with Tony Bennett. Can’t Lana do something like that, or perhaps she doesn’t want to. Lana can absolutely sing jazz standards and do an incredible job if she chooses to do that. Her recording of the song, "The Other Woman," on her Ultraviolence album, demonstrates this very well in my opinion. But, beyond that, anyone who has enjoyed listening to jazz and standards from The Great American Songbook, as I have throughout my life, can hear elements of jazz and blues in some of Lana's songs. Many of the greatest jazz standards, such as those Tony Bennett sings, were written in the '40s, a decade that Lana appears to connect to deeply. 9. How would you feel about a future collaboration between Lana & Gaga, or do you think that Lana’s demo with title: SO LEGIT, which leaked a few years ago, can’t make such a collaboration possible? Of course, anything is possible, and I would love to hear the results of their collaboration, but I have never heard Lana or GaGa talk about this. Many people still believe that Lana and Gaga met in 2006 while I was the national projects director for the Songwriters Hall of Fame (SHOF). What I can tell you for certain is that both Lana and GaGa did participate in my SHOF Songwriter Workshop program and both were featured in two of my SHOF Artist Showcases. But they were never in the same workshop or in the same showcase. 10. After your retirement from the SongWritters Hall Of Fame back in 2006, you started your own artistic music management with the name: Bob Leone Management. How do you face young people today, who come up to you either face to face or through internet, knowing that you once managed Lady Gaga and ask you to become their managers in order to be successful just like Lady Gaga! It was actually several years after I retired as the national projects director of the Songwriters Hall of Fame (SHOF) that I created Bob Leone Artist Management. I had worked with literally thousands of artists during my 18 years at SHOF and also during my seven years prior to that as the national projects director for the Songwriters Guild of America (SGA). So becoming an artist manager made total sense to me.I love artists. I love to be around them. It's exciting for me to be around all creative people. Creative energy is dynamic and powerful like no other energy. And before I became a music industry executive, I was a professional keyboard player and songwriter in a band signed to RCA Records and in many bands before that. This is another reason why I connect to artists. I am one. Many artists, or people that consider themselves to be artists, write to me and ask if I would manage them. After all the publicity about being Lady Gaga's manager after she became a superstar, I got messages every day from people asking me to be their manager. The ones I immediately eliminated from any consideration were those who told me they wanted to be the "next" Lady GaGa. I always made it very clear that I had no interest at all in managing someone who wanted to be the next Lady Gaga or the next Lana Del Rey or the next anyone. I am only interested in working with artists who are unique in some way, like GaGa, Lana, Stevie Wonder, The Beatles and other artists who are like no others that came before them. Today, I simply say that I already manage two artists (and soon there will be three), and that is more than enough for me. If I work with too many artists than I can effectively manage, then everyone loses because no one gets as much attention as they need. Some managers work with only one artist; some work with many. Three works best for me. However, I am open to doing Skype consultations with serious artists. This is another way I can use my experience and expertise productively. For those who are interested in having a session, please contact me via my website (www.leonemgmt.com) or via my Facebook pro page (https://www.facebook.com/leonemgmt). Dream Of Gaga, would wholeheartedly like to give some credits to the big Greek fan club little monsters of Lady Gaga, to http://star.gr for the perfect collaboration and to the greek pop drama artist Taty, for connecting the great manager Bob Leone, with our website and made everything possible! Слух: Lady Gaga и Madonna ще пеят на годишнината от падането на Берлинската стена? ← Paul McCartney and Lady Gaga to collaborate on film soundtrack.